Showing 1 - 3 of total 3 results. The Croatia Hotel’s conferences and seminars can be arranged in one of its eight conference halls which can accommodate from 30-850 persons. Hypo Expo XXI is part of a multifunctional business centre called the Hypo Centre which is situated at the corner of Slavonska Avenue and Marohnić Street in Zagreb. Its modern architectural concept by Thom Mayne and Robert Somek provides high functionality and standards. 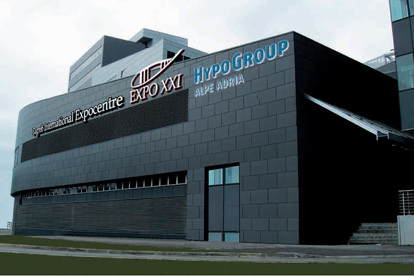 The Hypo Centre is becoming an important meeting point in Zagreb and the region. 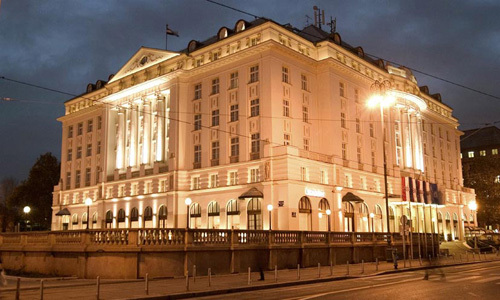 Discover the elegant and flexible spaces of the Regent Esplanade Zagreb. Our gracious Emerald Ballroom, with its domed and soaring roof makes for a truly memorable venue for large banquets of up to 250 people. Smaller functions can be held in our seven other meeting rooms, each one offering natural daylight and excellent facilities for different styles and sizes of events.